Pressure Controllers - High Accuracy Pressure Controllers - Cameron Instruments Inc. | Cameron Instruments Inc. | Cameron Instruments Inc. The Fluke Calibration 6270A Pressure Controller/Calibrator is a robust, reliable solution that lets you dramatically simplify the task of pneumatic pressure calibration. 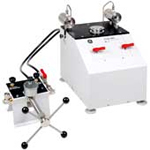 PPC pressure controler/calibrators and RPM4 reference pressure monitors are high accuracy transfer pressure standards suitable for any calibration facility. Fluke's PPC pressure controller/calibrators include PPC4 for pneumatic pressures up to 14MPa (2,000psi), PPCH-G for high pressure pneumatic use up to 100MPa (15,000psi) and PPCH for hydraulic use up to 200MPA. PPC controller/calibrators are offered in a variety of measurement performance classes, user interfaces and communication options to fit your budget and application. Flukes exclusive Q-RPT reference pressure transducers can be configured inside the controllers or externally in an RPM4 monitor for maximum versatility. PPC pressure controllers deliver value with an extremely wide control and measurement range turn down, often replacing multiple legacy instruments with a single one. Easy integration with a PC makes Fluke's PPC and RPM4 the instruments of choice for calibrating portable pressure calibrators, high accuracy pressure transmitters and test. The Model 2482 is a high precision standard that provides unsurpassed performance in the field of differential pressure metrology at high static line pressures. Designed to calibrate virtually any differential pressure sensing device, the 2482 combines exceptional accuracy along with speed and ease of use. Featuring a triple-axis piston assembly this primary standard provides both pneumatic and hydraulic differential pressure calibrations to 850 inH20 (2100 mbar) at line pressures up to 2900 psi (200 bar). A precision load cell supports the differential piston assembly and serves to quickly and accurately zero the standard at elevated line pressures. Until now, this has been a time consuming and technique dependent process. Supplied with Windows based menu driven software to control the piston gauge and provide the full range of corrections and calculations, the 2482 is the ideal standard for calibrating transmitters used in applications such as turbine efficiency testing and custody transfer measurements. The Model 7250LP Low Pressure Digital Pressure Calibrator, part of the versatile Series 7250 family, is specifically designed to meet the demanding performance requirements of calibrating low pressure sensors, transducers, mechanical gauges, portable calibrators and their plug-in modules. To accommodate bi-directional devices, the 7250LP can be supplied to operate in both positive and negative gauge modes. 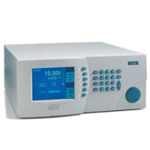 The 7250LP provides a precision of 0.005% of reading from 10% to 100% of the maximum range. 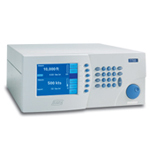 For example, the 10/30 inH2O 7250LP provides a precision of 0.005% of reading when measuring pressure from 30 to 3in H2O (75 to 7.5mbar). Changing ranges is automatic both upscale and downscale and does not require operator intervention. Since the 7250LP utilizes a true differential sensor, the reference port can be connected to the test system eliminating unwanted pressure disturbances due to room drafts caused by HVAC systems. The Model 7750i AeroCal Air Data Test Set provides automated control of pressures to test and calibrate a wide variety of pitot static avionics components including air data computers, altimeters, airspeed, rate of climb, cabin pressure, and others test sets. The Model 7750i incorporates GE's quartz sensor technology to provide a precision of 0.005% of reading making the 7750i an ideal choice for RVSM calibrations. Copyright © 2019 Cameron Instruments. All Rights Reserved. Powered by SiteCMTM— web content management made easy by ideaLEVER Solutions.